Canada sent 383 delegates to the Paris climate conference (COP21), but Russia almost matched our number with 313. The difference is, their leader knows the science is a fraud and was likely there just to get his transfer money as one of the original developing nations. I am willing to bet that none of the Canadian delegation knew any statistics about our carbon emissions. 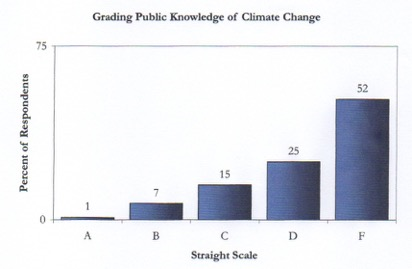 I am also willing to bet that none of them know anything about climate science, period. Now, presumably the Canadian delegation would smuggly cite Environment Canada as their source of information. The problem is, that agency’s accuracy for one-year forecasts is less than 50 percent. 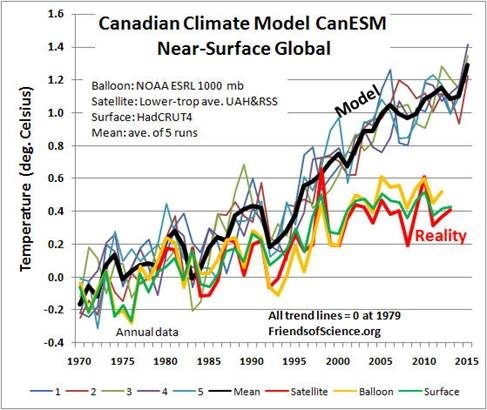 Environment Canada is a member of the IPCC and contributed data to the long term temperature predictions the IPCC has made since 1990 — almost ever single one of which was wrong. More important, the IPCC’s forecasts for the next 50 years and beyond are based upon an ensemble of projections from over 20 climate models. Before going to Paris, Justin Trudeau announced a donation of $2.65 billion to the Green Climate Fund. This is a fine to punish developed countries like Canada for building their economies using fossil fuels and thereby producing CO2. The money is supposed to compensate the poor, developing countries who are now supposedly suffering from the global warming we created. The trouble is the CO2 did not cause the warming, and now that the sun has changed its pattern, the warming ended in 1998 anyway. Of course, typical of those receiving handouts, these developing countries want more money regardless, demanding at least a trillion dollars to sign the Paris Climate Agreement. Since Environment Canada weather forecasts and climate projections are so consistently and seriously wrong, the money to help developing nations should come from closing down that entire branch of government. We know the money won’t be used by developing countries for any programs that will help their people. The taxes we pay in developed countries are almost all grossly misused, so there is no reason to believe the situation would be any different in developing nations. Foreign aid is money from the poor people of the rich country given to the rich people of the poor country. If we truly want to help the poor, we should create ways of helping them develop their economies using fossil fuels. We must also help them set up an election system that prevents incompetent children from being elected with just 39 percent of the vote.